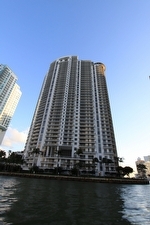 The Carbonell is one of the Brickell condos for sale located in the northwestern corner of the island of Brickell Key, itself a land mass just off of the Miami mainland to the east. 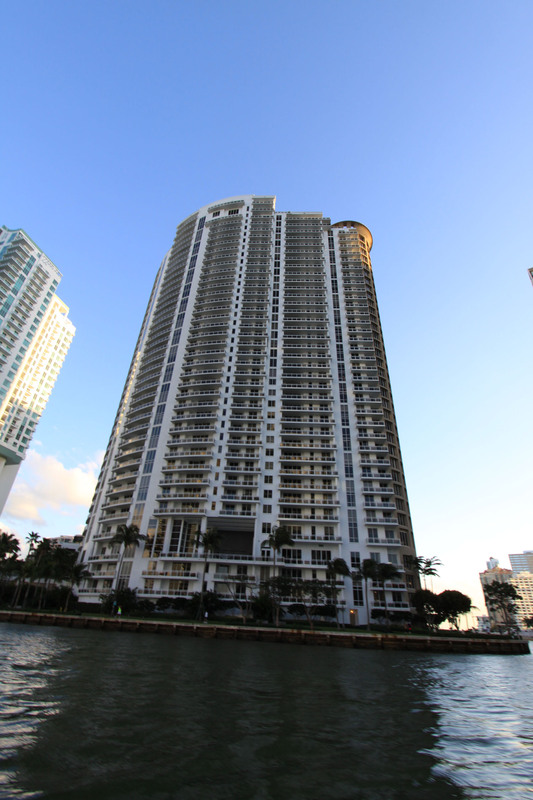 Within its forty stories you'll find 284 units that have great views of Biscayne Bay, the city of Miami, Dodge Island and many more notable sights. Carbonell is one of the few condominiums that perfectly emulates the feel of living in a quiet island home, especially since Brickell Key is almost entirely surrounded by water with the exception of Brickell Key Drive which allows residents to get in and off the island. Concierge, valet, 24 hour security, it's all within Carbonell on top of other amenities like a party room, a bi-level fitness facility, a heated pool overlooking the bay, business center and conference room. The residences have one, two, three or four bedrooms. Depending on the unit, the smaller ones have a minimum if 1,031 square feet while larger units have up to 2,860 square feet. One pet is allowed per residence in Carbonell. 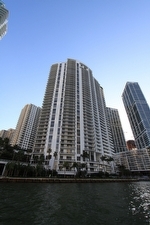 Sail off from Brickell Key and explore South Florida or check out what's nearby. If you have children, Key Biscayne has parks or if you have pets you'll also find a small area of beach that allows them on the island. You can see Bayfront Park to the north from your Carbonell home and it's where frequent musical events are held. The MacArthur Causeway will also allow you to visit Miami Beach in less than twenty minutes.